So how big is an emperor size bed? 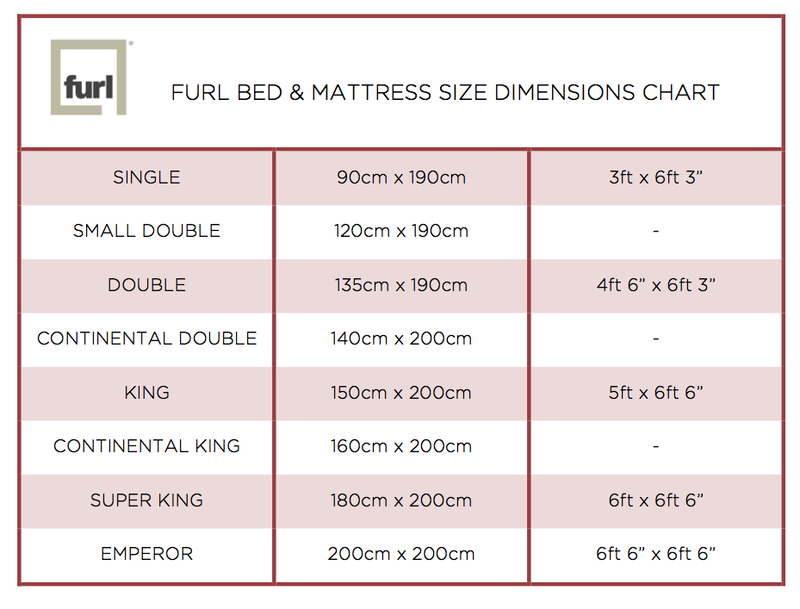 I get asked this question a lot at the Furl showroom, as bed sizes can so often vary. Emperor size though, is the largest available standard size. There aren’t many companies that actually make this size of bed. But you guessed it, we are one of the companies that do! It’s 2 metres wide, by 2 metres long. Or 6ft 6″ wide, by 6ft 6″ long. Or at least that is the mattress size anyway. The frame of the bed will of course be a little bit larger than the mattress. But our frames are really slim and only add 4cm to the width and to the length. So the total footprint of the bed would be 204cm wide x 204cm long. Add an integrated headboard and the length would increase to 210cm, but that’s the same as any bed with a 2m mattress length! Why might you want an emperor size bed? Do you ever get fed up of your partner ‘accidentally’ kicking you in the night? Or do you ever have little ones jumping in with you in the morning? Perhaps those little ones might even be cats or dogs!! I can see you nodding at the screen right now. How nice would it be, if you didn’t have to feel that kicking any more? Or if you kids could join you without you all having to cram in like sardines? If you have the space to fit and emperor size bed, I don’t know why you wouldn’t want one. CAN I STILL HAVE an emperor size bed with storage? Of course, all of our beds are also storage beds, and you can have any amount of storage we offer made as an emperor size bed. Can you imagine having 800 litres of storage underneath your bed?! But that’s actually the smallest amount of storage that we offer. Our Max Bed would offer you a whopping 1,400 litres of storage! All of our emperor size beds are made to order, and so you select the fabric, leather or wood type you would like it in. You also get to choose if you would like to add a headboard or not. 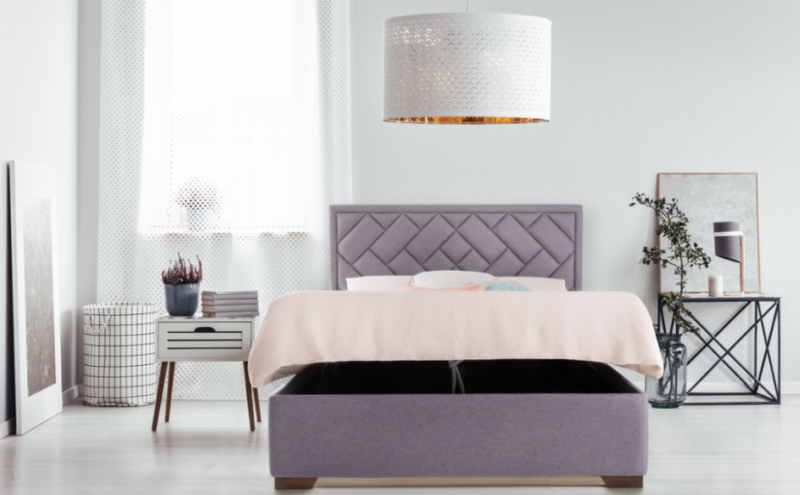 If you do want to add one, then you can add any headboard within the range, onto any bed base within the range. We offer mattresses too, but if you already have a mattress in the emperor size, then of course that will fit our bed frames.